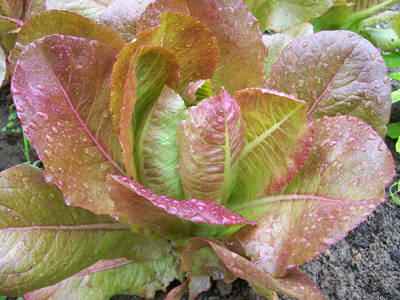 Rouge d’Hiver hardy romaine lettuce. 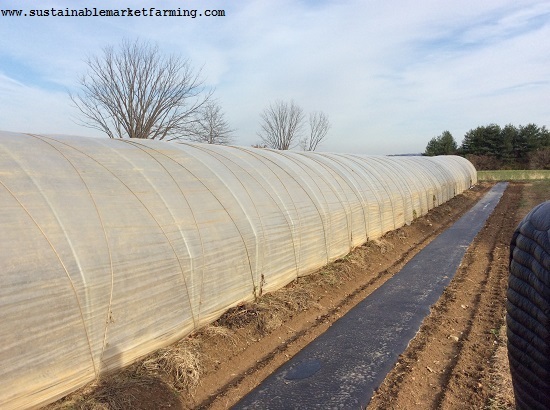 Here’s my monthly article on lettuce varieties month-by-month. I wrote about Lettuce in November a month ago. 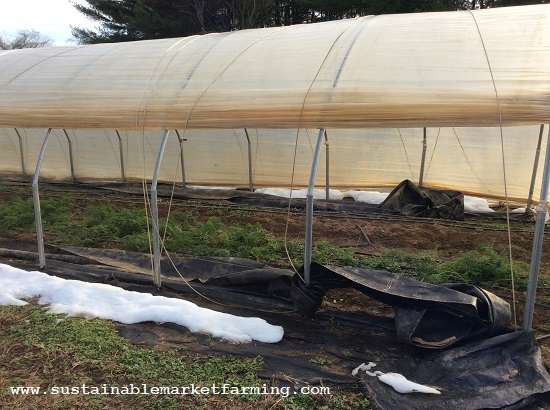 Of course, at this dark and chilly time of year, plants don’t grow much and our lettuce story is very similar this month to last. Except that we have so much! 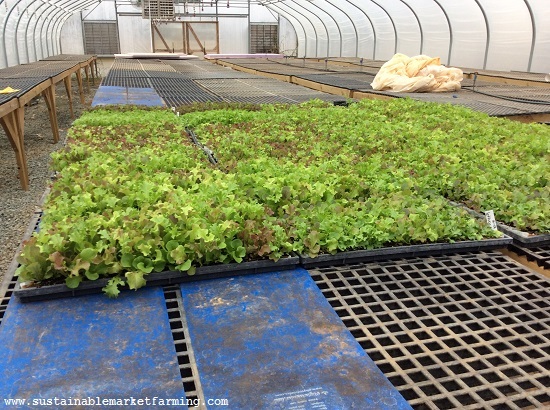 We are harvesting our hoophouse lettuce mix as well as leaves from the big lettuces in the unheated greenhouse and the hoophouse. 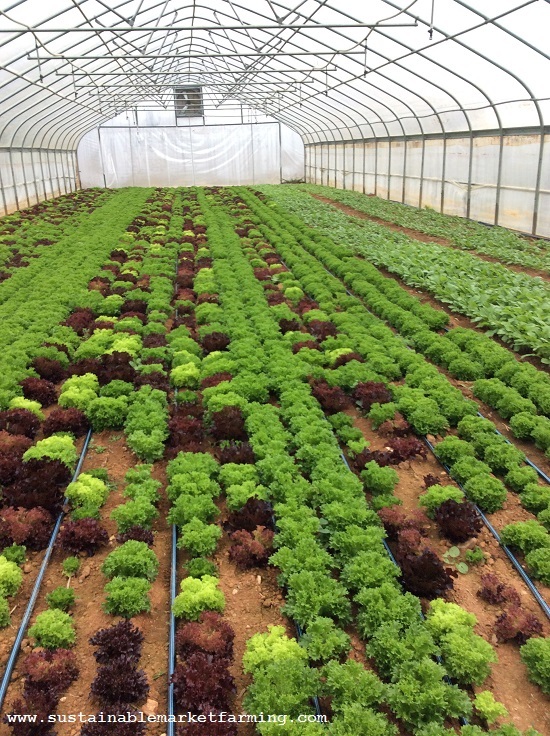 In the unheated greenhouse, we have Green Forest romaine, Hyper Red Wave leaf lettuce, Red Tinged Winter leaf lettuce, Oscarde red leaf lettuce and North Pole bibb. all are looking well. 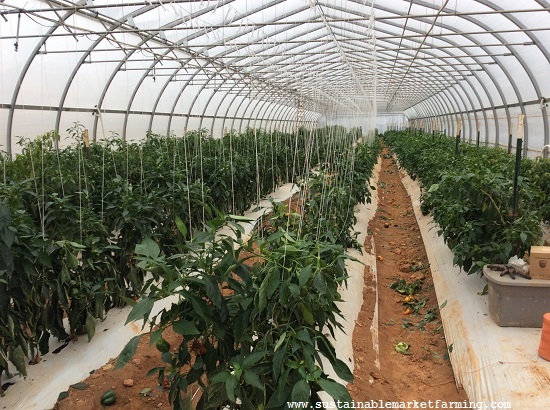 In the hoophouse in the first planting we have Green Forest, Hyper Red Rumpled Wave, Oscarde, Panisse, Red Salad Bowl, Revolution, Star Fighter and Tango. In the second planting we have some of the same and some different ones: Green Forest, Hyper Red Rumpled Wave, Merlot, Panisse, Revolution, Red Tinged Winter, Salad Bowl, Star Fighter and Winter Wonderland. 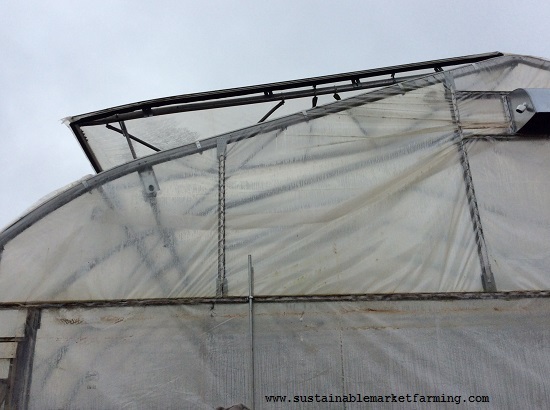 We are currently harvesting leaves from all the greenhouse and hoophouse lettuces in turn. These are all looking well too, apart from a few Salad Bowl that have crashed with Sclerotinia Lettuce Drop, known “affectionately” to us as Solstice Slime. It happens at this time of year, around the Solstice – cold damp soil and the presence of spores of this widespread fungus cause destruction of the crown of the plant, which spreads to the leaves and causes the whole plant to collapse into a slimy beige lettuce pancake. 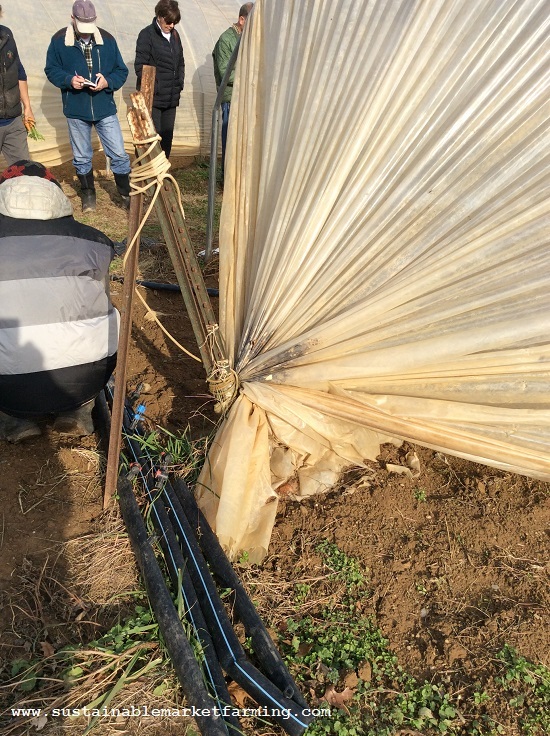 Our approach is to try not to over-water in cold weather, and to carefully remove pancaked plants, just before leaving the hoophouse, throw them down-wind into the pasture, and then wash our hands before returning. Other winter-hardy lettuce we have grown in other years include Marvel of Four Seasons, New Red Fire, Pirat, and Rouge d’Hiver. 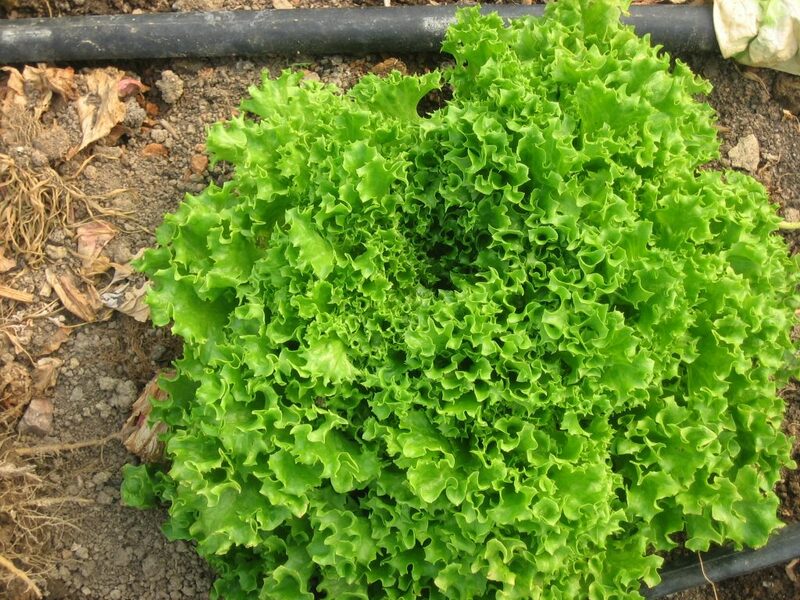 There are hardy bibb lettuce too: North Pole, Red Cross, Sylvesta, and Winter Marvel, but we have stopped growing them in the winter hoophouse as they are not so useful for harvesting by the leaf and they are more prone to collecting dampness and getting diseased. I’m sad about the poor showing of our Multileaf lettuces, due I think to keeping pelleted seed too long. 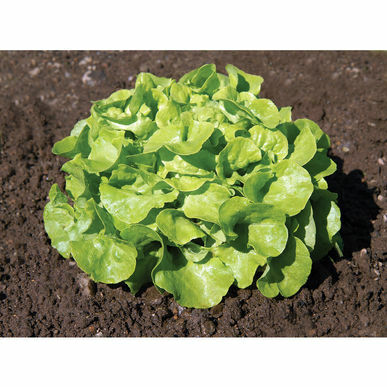 My consolation is that we have three lettuce varieties that have a somewhat similar plant type (lots of small leaves that can be removed, letting more grow): Oscarde, Panisse and Tango. I’ve been taking more bookings for speaking events and groups touring our gardens here. It’s looking promising for me to be at the Mother Earth News Fairs in Asheville (May 6-7) and Vermont (June 10-11). 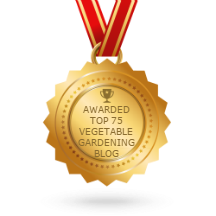 I’ve added in a visit here from the Tricycle Gardens group from Richmond on March 24 and one from the Louisa Master Gardeners on April 13. I’ll add info to my Events page (see the tab at the top of this page) as I get it. 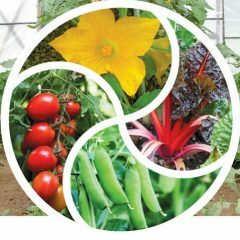 I’ve got my slideshows and handouts ready for the Virginia Association for Biological Farming Conference which is coming up in just a few weeks, January 10-11.